Dave and his mates did it! Raising money for a 4x4 vehicle to help deliver transformative, simple, technologies to rural communities in Tanzania. 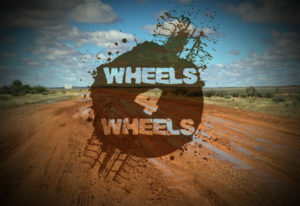 Wheels 4 Wheels Challenge on Saturday 11 February 2017! Pushing, pulling, carrying, crawling... whatever it takes to get a set of 4-wheel-drive tyres around 8.5 miles of rugged Peak District terrain! A group of 6 blokes with varying levels of fitness are taking on this challenge in order to raise funds for a vehicle that will be able to manage the varied terrain found in the Iringa region of Tanzania. In the wet season the dirt roads are impassable to all but the most rugged 4 x 4's. In Tanzania the vast majority of vehicles are Toyota, so it is likely that we will be looking for a Land Cruiser. Every pound you donate will be used towards a suitable second hand vehicle. At the end of Dave and Tricia's time with Emmanuel International the vehicle will be sold on and any money given towards it that remains in credit will be reinvested in Emmanuel International's work in Tanzania. Dave and his friends are hoping to raise £5000 for the vehicle. Please support them! Click on the MyDonate button below to support Dave and the team. 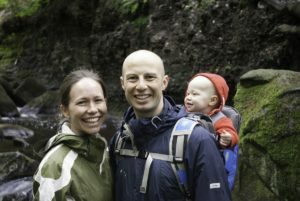 Dave, Tricia and Titus Rollett are partnering with Emmanuel International, helping churches serve the poor in Tanzania. Rural communities in Tanzania face many challenges; among them are lack of clean water, limited sanitation, food scarcity, poor health and deforestation. In voluntary roles as missionary development workers Dave and Tricia will be working with the communities to implement life changing, simple, technologies. Dave, Tricia and Titus are aiming to move to Tanzania in late February, and will be looking for a suitable vehicle shortly after arriving. They have committed to an initial two years.